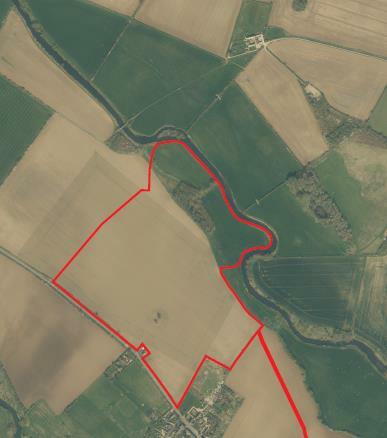 GP Planning Ltd has worked with the land owner and his representatives on this site north of Lathbury, near Milton Keynes for a number of years. Due to its known sand and gravel reserves, the site represents a significant potential contribution to Milton Keynes Borough’s minerals need. Because of that, GPP has been involved in promoting the site through the Plan Making process, and subsequently it is an allocated site for sand and gravel extraction (quarry) in the Milton Keynes Minerals Local Plan, adopted in 2017. Since the adoption of the Plan, we’ve been engaged by an experienced local minerals operator to come forward with a planning application for the site. The planning application is subject to the EIA regulations, and as such is accompanied by, amongst other things, a programme of community consultations and an Environmental Statement and considerable environmental assessment work. As part of our role in preparing the planning application, GPP have managed the project including working closely with a team of independent environmental consultants. Twelves months of work resulted in a planning application being submitted to Milton Keynes Council in December 2017. Since the submission, GPP’s work is ongoing. We are working closely with the Council and their environmental consultees, together with our team of independent environmental consults, to work through any questions or opportunities for the environmental and amenity impacts scheme to be improved, whilst continuing to ensure the applicant’s aspirations for the site and its commercial viability are maintained.